Don't pay £20 at Debenhams- skip over to Beauty Bay (link) where all Urban Decay is discounted. Beauty Bay has a huge sale on the entire range. 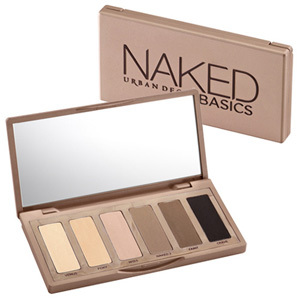 Contains 6 eyeshadow shades- some new- but enough mat shades to create some good basic and neutral everyday eye looks- and some night looks too! UD are vegan, do not test on animals and general I find their products good quality. Also worth checking out the 24/7 eyeliners as they are all reduced too. I love Bourbon (brown, but looking at Flipside blue too)! What Urban Decay products would you recommend? 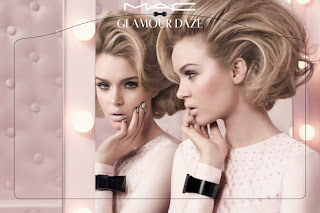 Have you found any good beauty sales? Where do you recommend? What bargains have you found? Updated Midday with a great sale!! 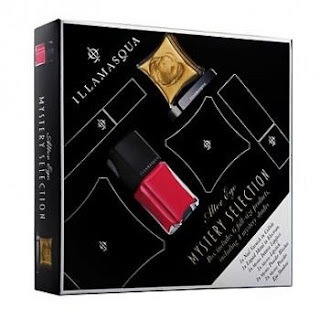 15% off Illamasqua- what do you recommend? A brand which I love. Colourful, different, good quality. Certainly worth a place in my collection! 15% off at Debenhams! Run.. quick.. run... I'm off to get another cream blush and some skinbase. What will you get? Some magazines have a primer with them instead. Worth a look! Anyone picked up any good magazine freebie's recently? I was going to mention the Glamour/Nail's inc here too, but I've hit a snag- my bottle wont open. It's glued tight... and i'm gutted! What a crazy offer! I have just found out about this and been stocking up on a few essentials, adding a few gifts to my basket and shopping for a Christmas party dress. 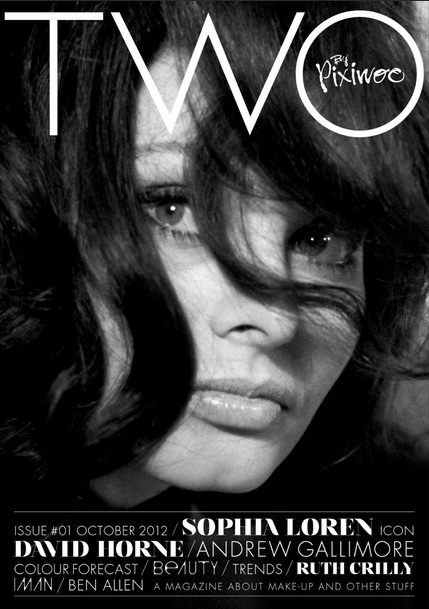 I love this collection- so chick, and the images are gorgeous! While there I spotted the awesome Slendertone system (link to my post) is reduced from £120 to £100. It basically stimulates your muscles to tense and relax, building tone. I wear my abdominal one a couple of times a week while doing other jobs at home- so it exercises me while I'm also using the time to wash up, read and type! Link to Slendertone at Debenhams. Great time saver and a good gift! 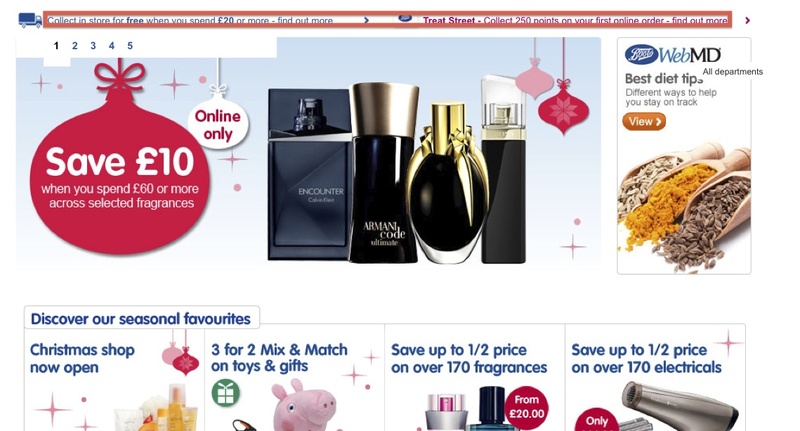 The Debenhams beauty department online is one of my favourite places to browse and show (especially when they have sales!). If you are after Mac, Chanel, YSL, Guerlain, Dior, Benefit, Tom Ford (get this brand on sale if you can- it's amazing! 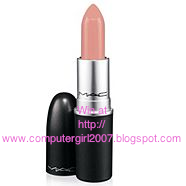 ), Origins, Estee Lauder, Urban Decay and so much more- then click HERE to have a nose and drool! (P.s. spend over £40 and get 500 points (=£5 voucher) and free delivery with the code SHBC. So you get 10% (or 20% off everything none beauty) free delivery and £5 till midnight! What are you waiting for!? 25% off ASOS 48 hours only! 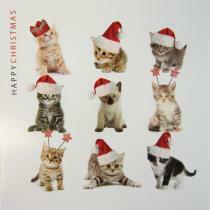 Visit www.asos.com and get 25% off clothes, beauty items, shoes- all sorts. 48 hours only. I'm loving this aran jumper. It looks so warm (which is certainly what we need right now in the UK)! 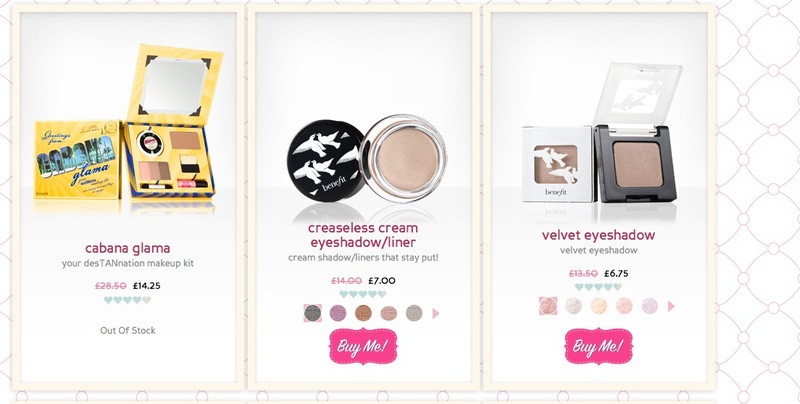 You can see all their beauty bargains HERE including the 50% off sale. Great brands such as benefit, opi, Paul and Joe, Bourjois... I'm spoilt for choice. 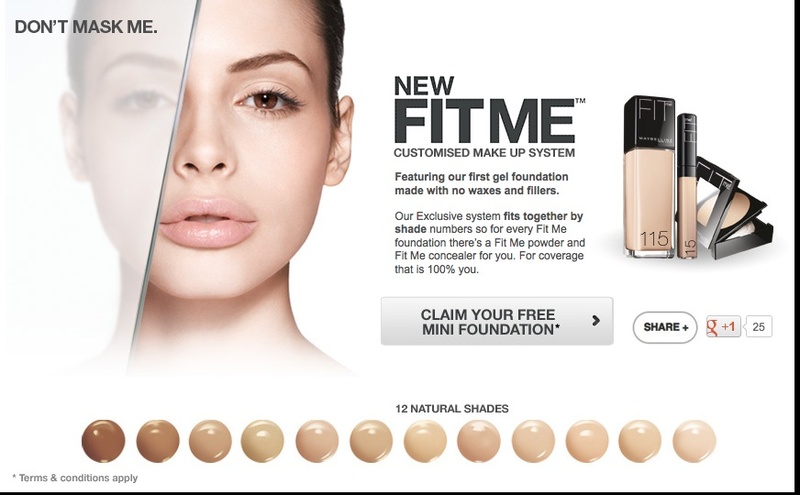 Want to try their new Fitme customised foundation. Simply click this link, it will match you and send you a sample if you are in the first 150000! Go, go, go!! Contains no waxes or fillers... mine is on it's way :) I have been impressed with some recent Maybelline products so hopefully this will be good. Every Friday I try to bring you a free offer- something you can do, get, order or experience for free. I'll try to feature some things that are available regardless of location. International makeup artists and sisters Sam and Nic Chapman have set up a free digital magazine all about makeup and beauty. Subscribe for free at http://two-magazine.com/ You can opt out at any time, but worth a look! Benefit sent me an email to say that they have an amazing 50% off many items in their pre-christmas sale. 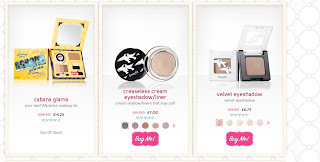 I snapped up a creaseless shadow for £7, an eye shadow £6.75 and Cabana glam kit for £14.25. Bargain. Thanks Benefit! got to be quick though! Visit http://www.benefitcosmetics.co.uk/product/collection/sale to grab some christmas gifts at bargain prices :) Everyone loves a bit of beneift! Broken Nail? One of those awkward, horrible splits that catches on everything, goes into the nail bed and hurts like chipping the red sole on your Louboutins? 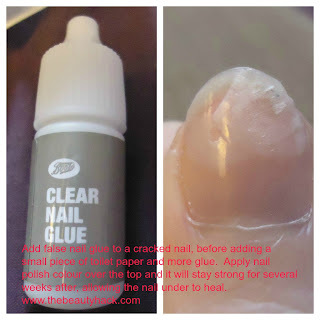 This is where false nail glue is your friend- skip the 'apply nail polish and toilet tissue' routine. Nail Glue. Apply the glue into the crack, then split a 2 ply sheet of toilet tissue. Add a small square of the split toilet tissue to the nail, just over the crack. Apply more false nail glue and leave to dry. Next add a coat of (preferably) clear nail polish, to seal. This nail will hold for several weeks in normal cases. You can put coloured polishes over the top, but the rock hard dressing will be affected if you use nail polish remover on it. The bonus is it will strengthen the nail, and allow the nail to grown back underneath without catching on clothes and ripping further! Every Sunday I'll be attempting to bring you some of the best giveaways on the blogosphere. As this is a new thing I only have one, which is my own Chanel or Mac lipstick giveaway on www.computergirlsmusings.com so I'm opening this up for you to publicise your giveaway! 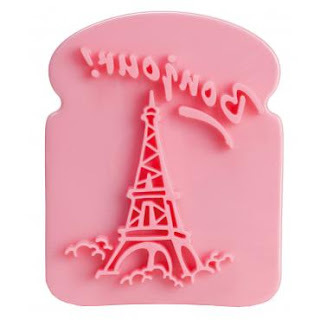 Or celebrate french beauty with a french toast Eiffel Tower toaster art marker thingy. I'm not sure how to describe it, but I want one! (link) And it costs a little over £2. They also have some cool nail art kits which will be perfect for anyone with a passion for beauty and art! I do a lot of beauty supplies shopping at Boots and superdrug, and basics can mount up so I love to take advantage of discount and triple buy offers. 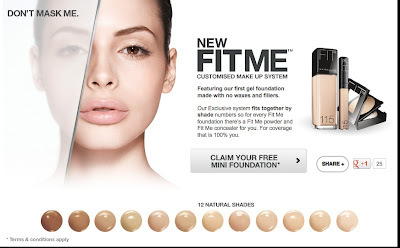 Use premium5 to get £5 off £50 spend or premium10 to get £10 off £75 spend at http://www.boots.com/ Great too if you are buying Christmas gifts as they have a 3 for 2 on lots of presents, as well as a 3 for 2 offer across makeup and skincare (Link for beauty offers!). Don't forget to collect your advantage card points too! Offer ends mid-november! Plus this weekend you get TRIPLE points- when you spend £30 in store, or £60 online (so spend £60 online and you will get £5 off plus earn £7.20 in points- meaning a big saving. I hate to use the C word this early, but I'm determined to get my shopping done soon to spread the cost and planning out. Hopefully this will make the pre-Christmas build up less stressful and more enjoyable! Anyone else shopping early? Every Friday I try to bring you a free offer- something you can do, get, order or experience for free. I'll try to feature somethings that are available regardless of location. To launch this I am giving you TWO offers! Nivea are giving away 250 lip butter tins on their facebook! Just click https://www.facebook.com/niveauk?sk=app_276434449135351 to try your luck! If you have any offers or ideas for friday freebies please send me an email using the contacts page!